All manufacturers of Swiss watches have high hopes for 2012, which is projected to reach record sales should amount, even in comparison with the excellent results of the previous year. What is the turnover of the event were the first four months of this year, we are today and find out. Association of the Swiss watch industry has once again released the statistics of exports of chronographs. The November exports of watches continue to demonstrate strong growth of all indicators. This month, an increase of 16% compared to November last year. 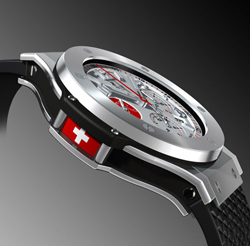 In addition, in November record was set: the first Swiss watch exports exceeded $ 2 billion francs. It is the largest monthly figure for exports of the country hours.